Every crisis can teach us about how to handle other crises! And: causes and effects are often interlinked - need to be tackled upstream. Can technology promise an effective defence against suicide bombers? 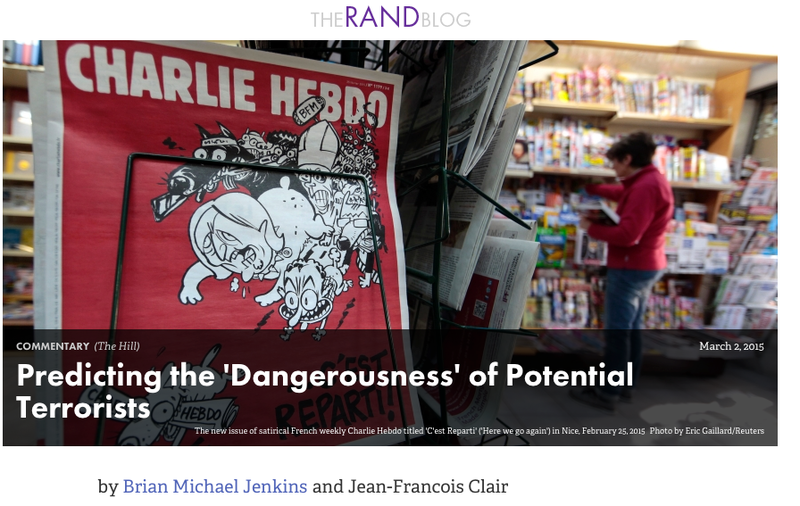 In the wake of the attack on the French satirical magazine Charlie Hebdo in Paris in January 2015, the European Union (EU) and its member states face growing public calls to address internal and external threats, and particularly terrorism. The EU, through its High Representative, should promote political dialogue on comprehensive approaches to conflict and crisis prevention, which can deal with both the symptoms and the causes of these threats. Calls for targeted approaches and strategies have been made over the years following various types of threats and challenges, including conflict, genocide and nuclear catastrophes. While emphasis on the required action is somewhat different each time, the logic is the same: there should have been an effective preventive policy in place before the event occurred. After the terrorist attacks on the United States of 11 September 2001, the need to prevent the radicalization and recruitment of terrorists became apparent. 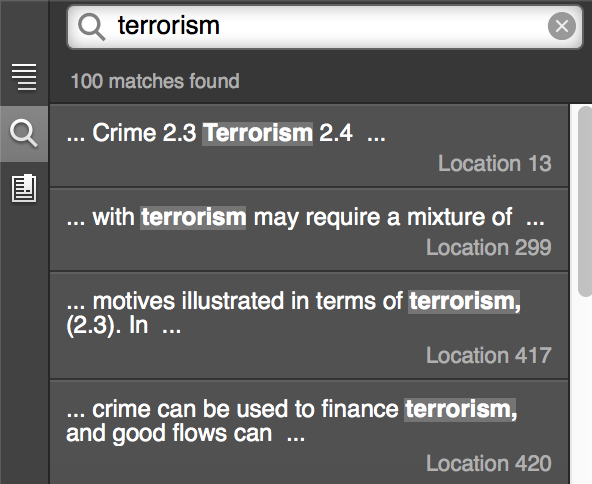 Now, as then, the focus is on counterterrorism. The academic literature contains several critical reviews of the implementation of EU counterterrorism policies after the events of September 2001. One of the concerns expressed has been that the EU’s counterterrorism strategies have tended to become too unwieldy to implement. This is reported to have been a problem not least in terms of the very limited personnel resources set aside for coordination and implementation, including through the EU counterterrorism coordinator’s office. 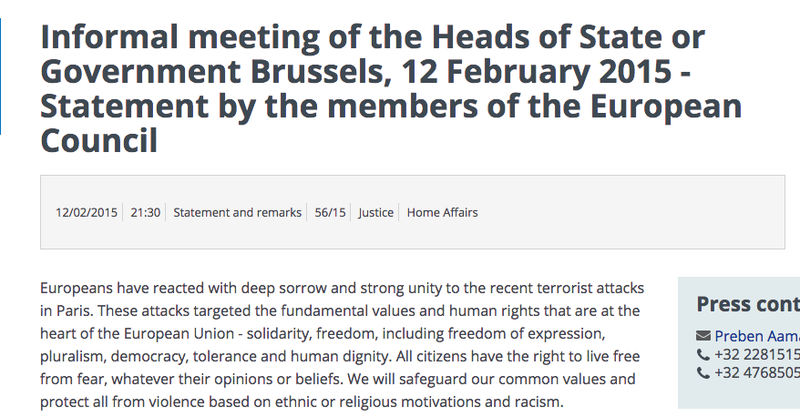 In parallel, following the attack on Charlie Hebdo, there is another debate underway on the role of EU member states. The argument takes as its point of departure that counterterrorism is primarily a member-state competence. So, according to that argument, terrorism should primarily be tackled by the member states internally in a highly classified setting, including through bilateral intelligence cooperation, notably with the USA. Indeed, many in the counterterrorism expert community have commended France in recent years for its effective containment of internal terrorist threats, which has been combined with a very restrictive policy on national minorities. Nevertheless, the events that occurred in Paris earlier this month suggest that more could have been done to improve internal coordination and dissemination of intelligence. This is essentially the same observation that was made in the USA after September 2001. As a result, the Patriot Act made it possible for different authorities to exchange sensitive data on a new level. In this context, it is noted that several of the culprits in Paris were known to the police and had been under surveillance as late as 2014. So, again, it is likely that issues relating to the exchange of data will be on the table, as was the case in the European Parliament with the controversial proposal to establish a passenger information network and exchange data with the USA. Bilateral initiatives, such as the recent commitment by the United Kingdom and the USA to look into outlawing certain types of encryption, are another case in point. Could the Paris attacks have been prevented?Would a policy allowing for more multicultural communities have led to a better situation? Sceptics counter that the EU and its member states cannot defend themselves against every possible individual terrorist attack. Heads of several intelligence agencies around Europe have publicly referred to this impossibility. Some also argue that terrorist attacks have to be dealt with in a proportionate way, including in the media, so as to avoid fuelling Europe’s far-right movements. The President of the European Commission, Jean-Claude Juncker, has cautioned against precipitous action, which in his view might lead to mistakes. Nonetheless, a new European programme on the fight against terrorism is expected to be announced in the coming weeks. The programme is likely to be mainly situated in the context of the EU internal security strategy, first adopted in 2010, and to point towards action in the period 2015–20. There are several elements under discussion relating to the Schengen information system; the legal penal framework (cf. the arrest warrant proposal after September 2001); increasing cooperation between Europol and other European agencies including on intelligence; improving sharing of information with law enforcement bodies; reinforcing the information exchange on illegal firearms; improving the fight against financing of terrorism; and promoting cooperation on chemical, biological, radiological and nuclear threats. In a wider context, one can expect further attention to interlinked thematic challenges such as information wars and the internet; cybersecurity and critical infrastructure protection; forced migration and trafficking; organized crime and its links to terrorism, corruption and conflict; development and migration; and freedom and security. All of these challenges are also crucial in the context of counterterrorism. Preventing radicalizationIn 2014 the EU made a series of decisions leading to an update of its strategy on the radicalization and recruitment of terrorists. The strategy now includes references to a number of policy areas including combating inequalities and discrimination, promoting intercultural dialogue, strengthening education, promoting tolerance and mutual respect, and improving communication with civil society. The EU’s radicalization and recruitment strategy underlines the need for full respect of human rights and fundamental freedoms and stresses the need to pursue a balanced approach between security related measures and the need to tackle such factors that may create an environment conducive to radicalization and recruitment. The issue of preventing radicalization was also raised after the 2002 terrorist attacks in Bali, Indonesia. In that case, the issue related to strengthening the voice of the majority, which favours moderation and rejects recourse to violence. At the same time, as noted recently by EU High Representative Federica Mogherini, how can the links in the public debate between terrorism and Islam be disassociated? Efforts in the EU to strengthen strategic awareness on these issues have been made both on the level of the member states and in the EU institutions, including through upgrading the Radicalization Awareness Network (RAN) centre of excellence established in 2011. RAN now consists of a network of stakeholders representing over 700 organizations and around 1000 participants from all 28 EU member states. Importantly, Morocco and the Netherlands have put forward proposals on best practice in countering foreign fighters within the framework of the Global Counterterrorism Forum (GCTF) under four headings: (a) radicalization to violent extremism; (b) recruitment and facilitation; (c) travel and fighting; and (d) return and reintegration. This brings the discussion to the level where it becomes most traumatic: how the international community has reacted after 9/11 through the War on Terrorism declared by George W Bush. Key members of the Bush and Obama administrations have also levelled strong criticism against that policy in Iraq and elsewhere. And the list of problematic countries is getting longer: Iraq, Afghanistan, Syria, Yemen, Somalia, Libya, etc. A recent documentary has highlighted to the general public strong links between the way Sunnis have been treated in Iraq after 2003 and the rise of ISIS, further facilitated by international support to ISIS rebels in Syria. Promoting effective dialogue on the symptoms and causes of terrorismIn the context of criticism of the EU’s response to terrorism, the dilemma is obvious: even if there is a need, as proposed by some, to make counterterrorism policies more targeted, preventive action has to be put into the geographic context of conflict management and peacebuilding. This means linking the counterterrorism discourse more clearly to issues of fragility and development, especially the widening inequality gap, and to the debate on an EU comprehensive approach to external conflicts and crises. It is high time to appoint a special representative to the High Representative and Vice President of the Commission who can help to develop a strong and balanced message on these issues in close liaison with key international actors. This would not be a counterterrorism coordinator, as this post already exists, but rather an interlocutor who can be deployed to intensify the political dialogue on how to prevent radicalization and recruitment in a broader context. Lars-Erik Lundin (Sweden) joined SIPRI as a Distinguished Associate Fellow in June 2014, and heads SIPRI's research on the EU's comprehensive approach to external conflicts and crises. He is a former EU Ambassador to the international organizations in Vienna and the author of a handbook on EU and security.